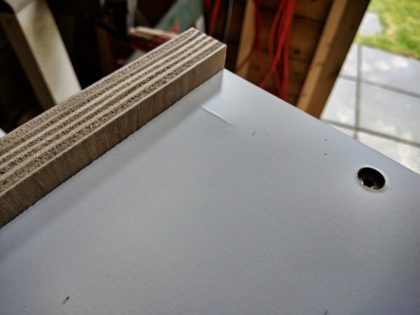 It’s made of MDF (scrap) and 3/4″ plywood (purchased). 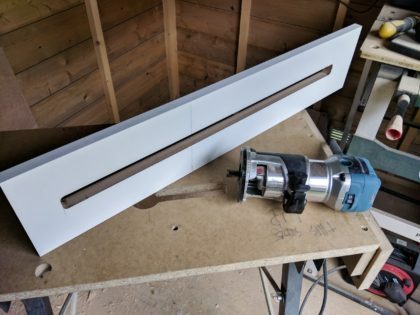 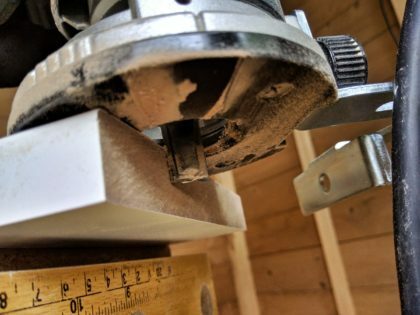 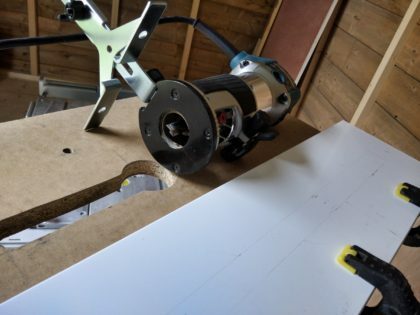 This jig is going to replace my budget thickness sander. 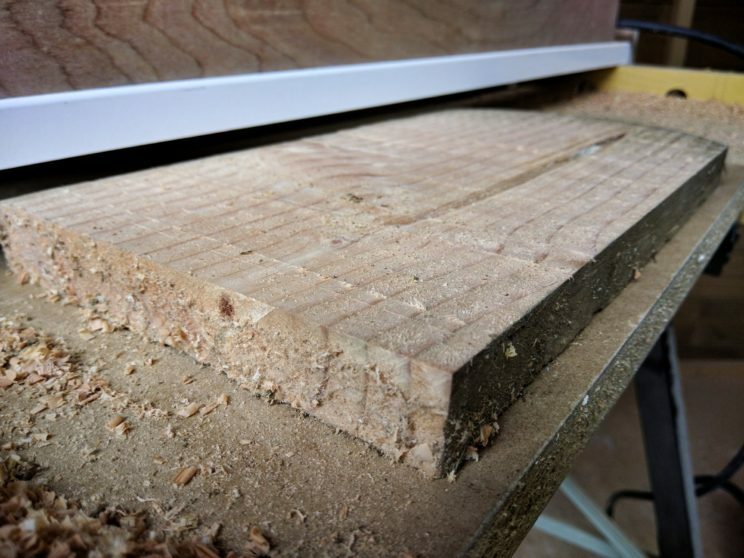 The main reason is the dust – I’m hoping to reduce the dust amount significantly. 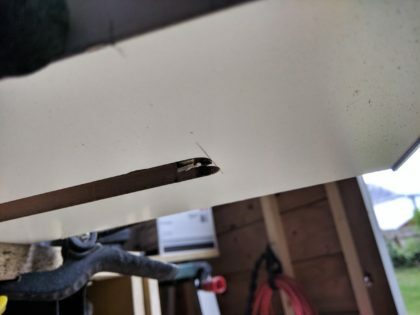 First I cut the MDF to length, then the plywood that I purchased. 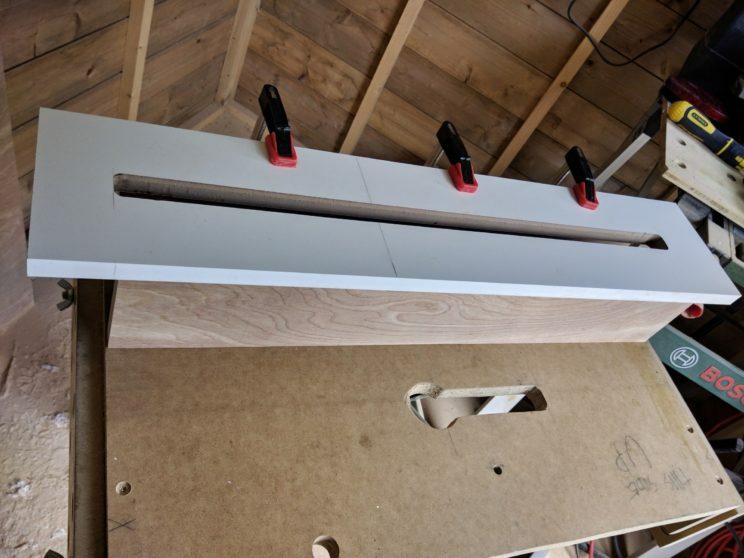 Dimensions of 1.2 x 0.6 m were a challenge for my table saw. 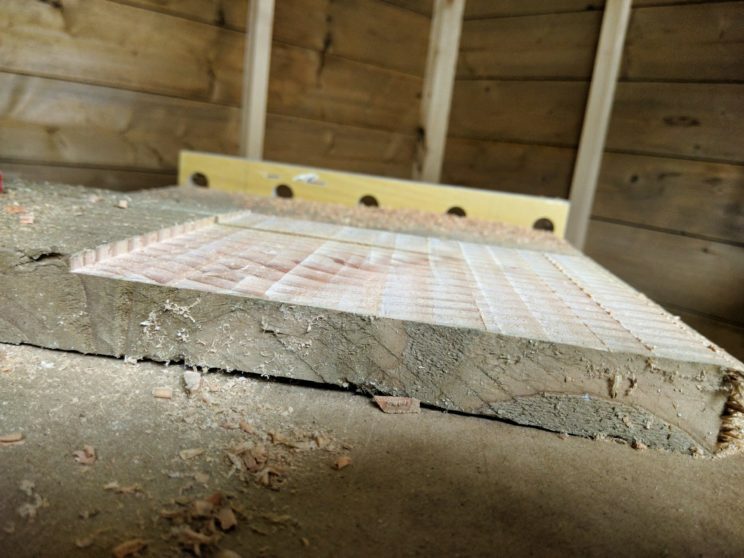 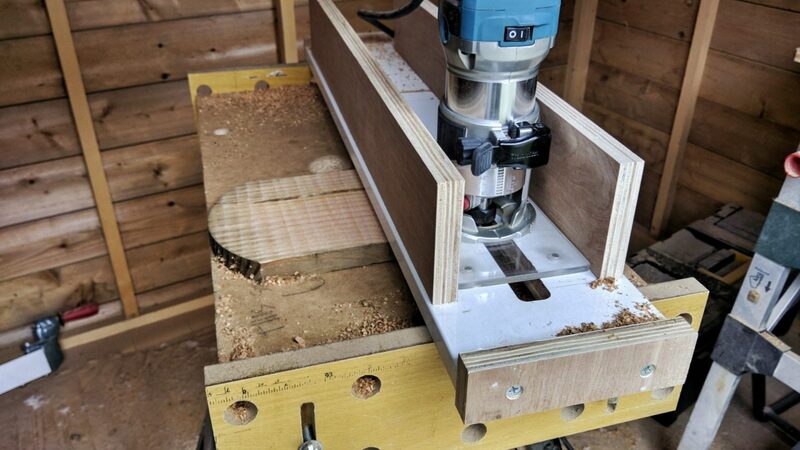 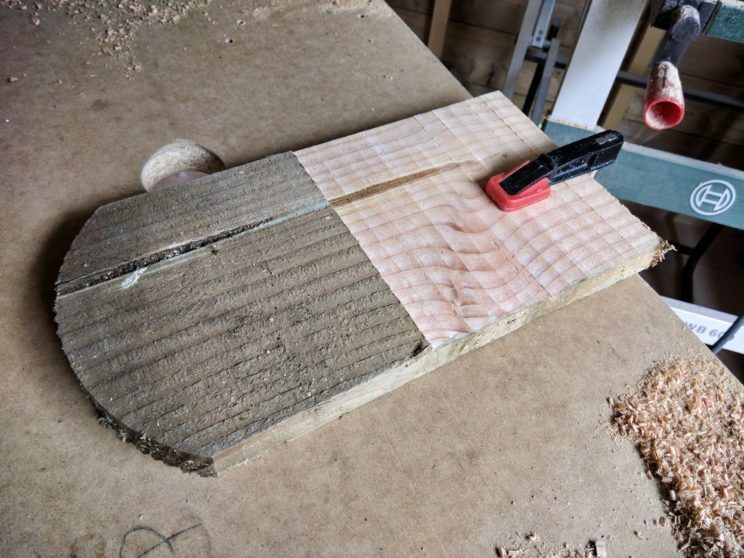 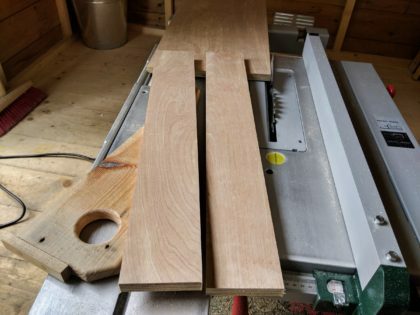 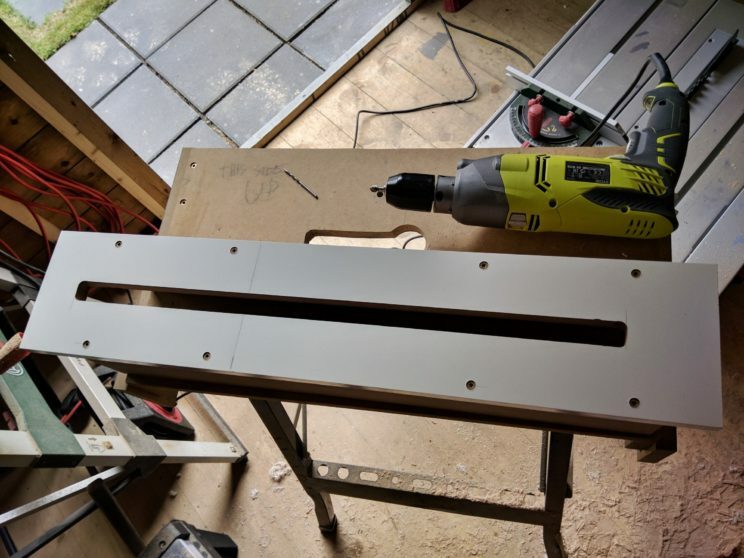 I was going to use my jigsaw to cut the groove, but I realized that this is a tool for savages, so I swapped bases in my router and installed a parallel fence. 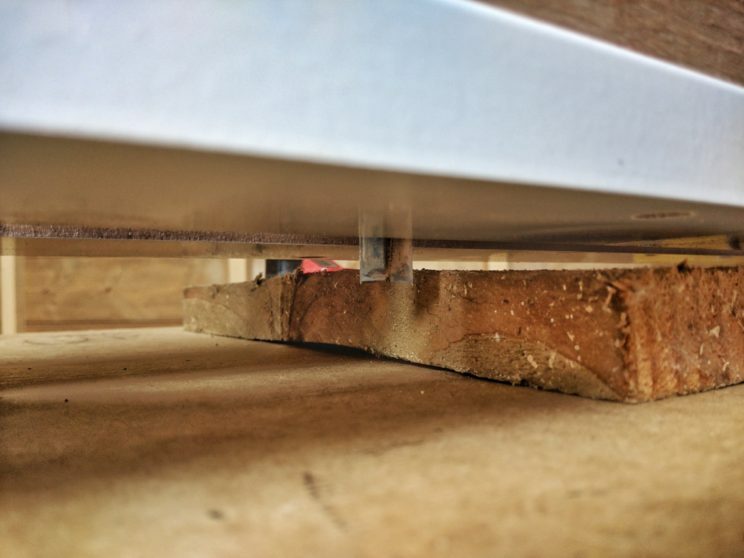 Slightly more than a half way through it cut the MDF from both sides and the groove was ready to be finished by a freehand routing. 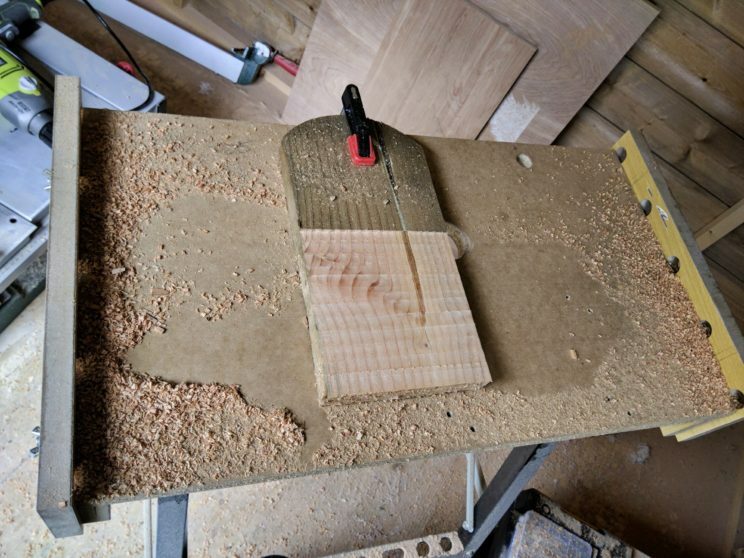 It came out quite nice. 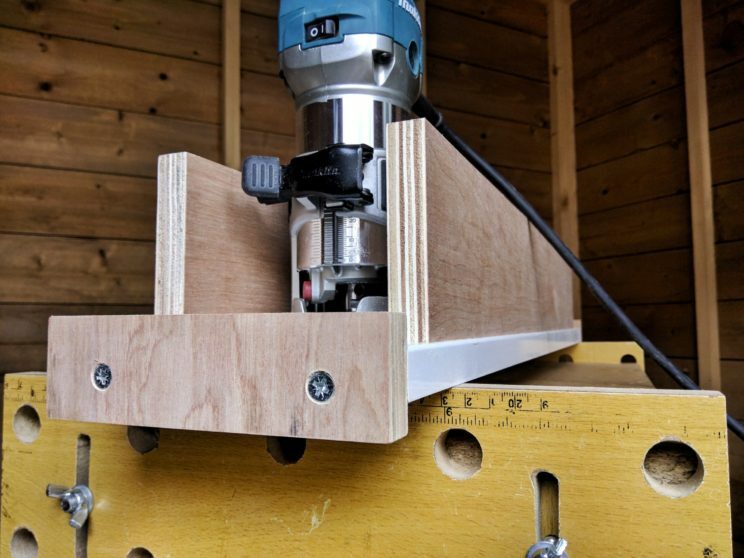 Attaching the plywood, clamping, drilling holes and of course countersinking. 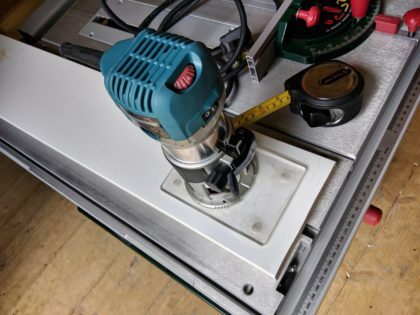 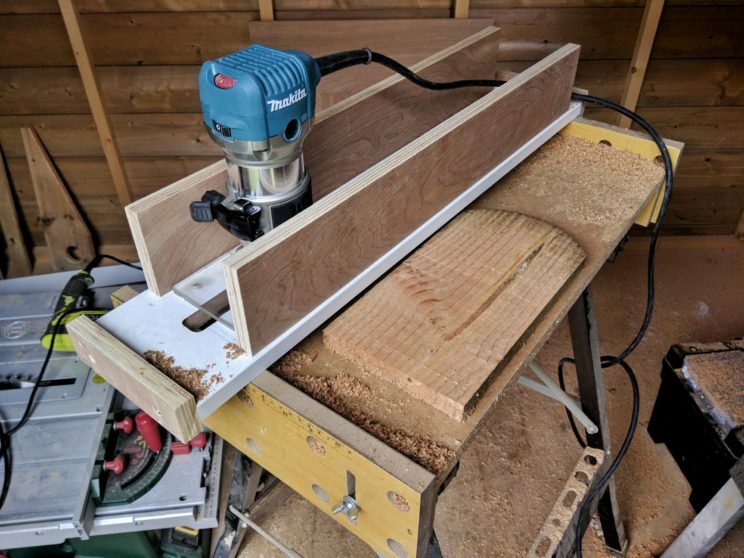 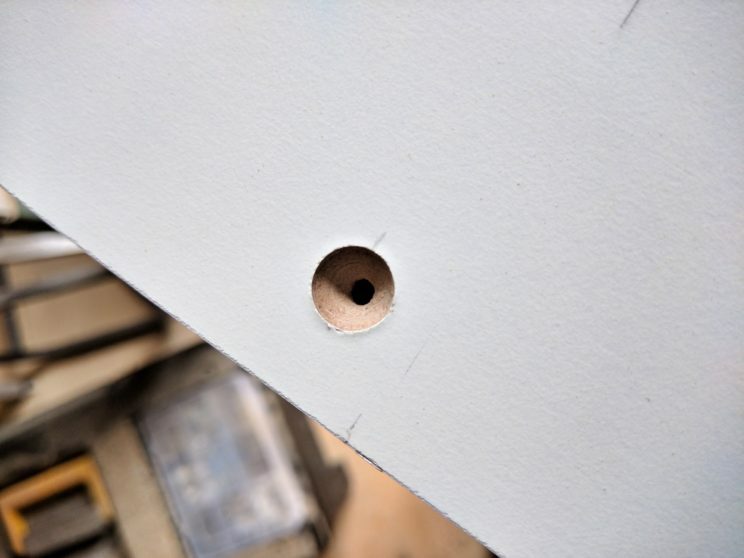 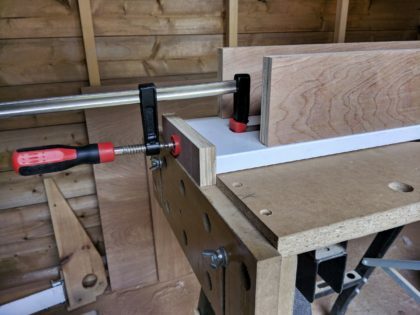 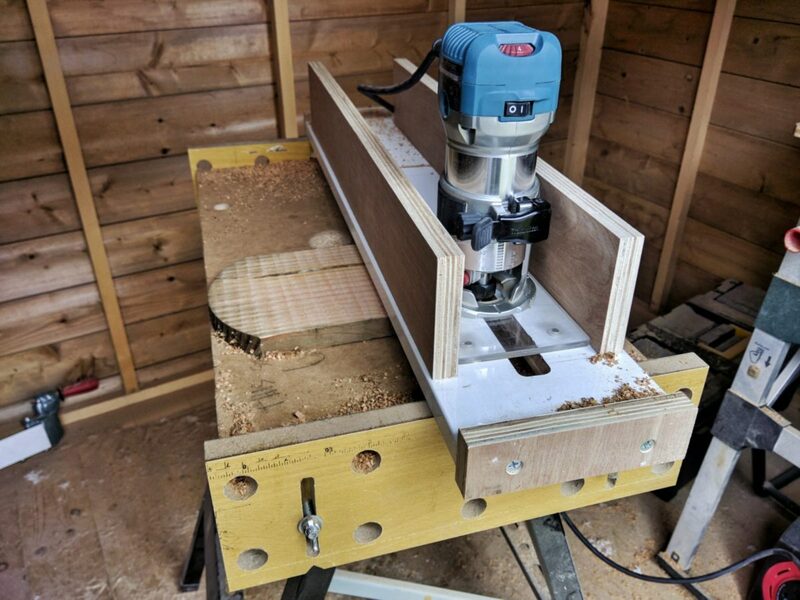 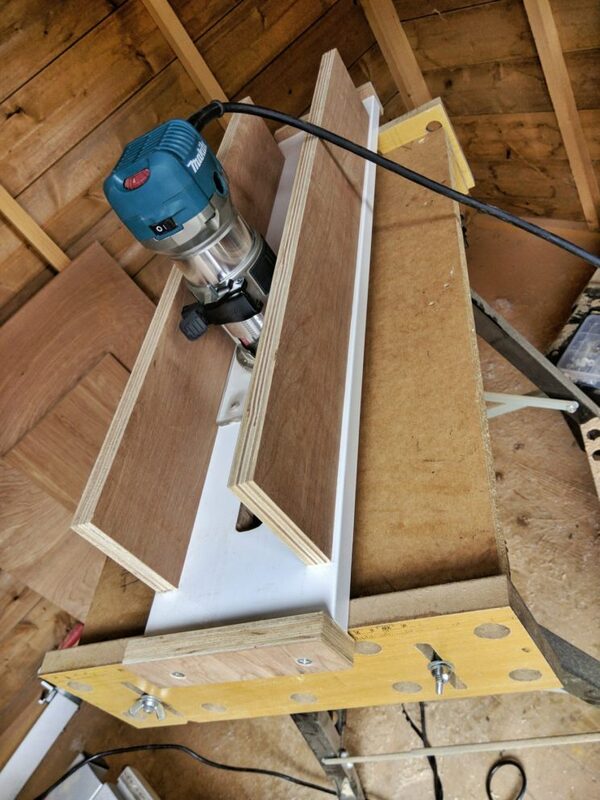 Then the stop blocks – it is always a challenge to drill and drive screws to an MDF – it can split! 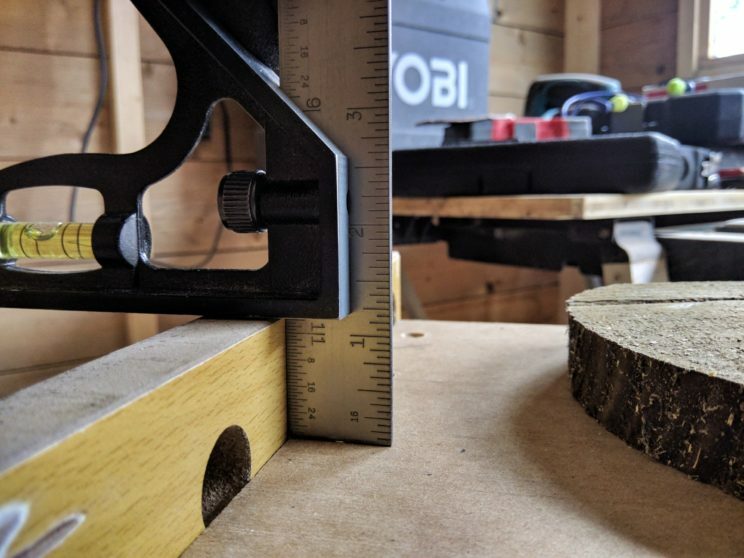 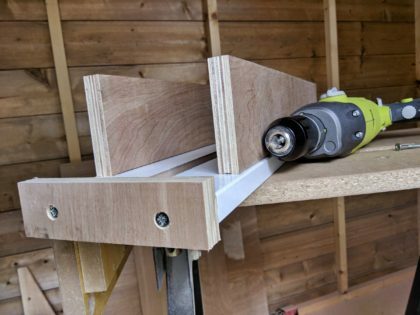 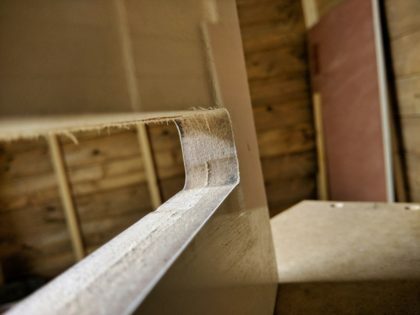 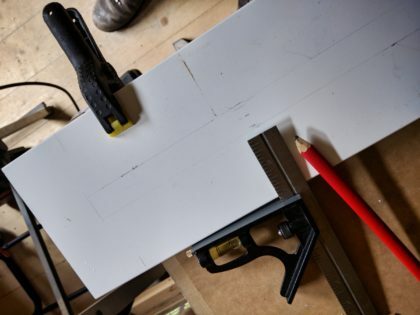 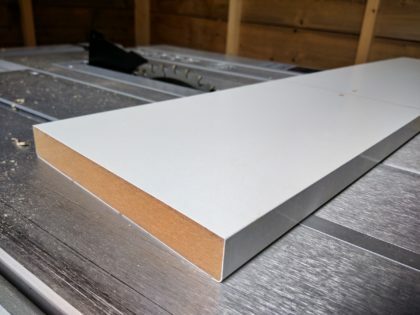 These blocks are quite important part of the jig – they prevent the jig from slipping out of the table and also, they hold the router within the jig. 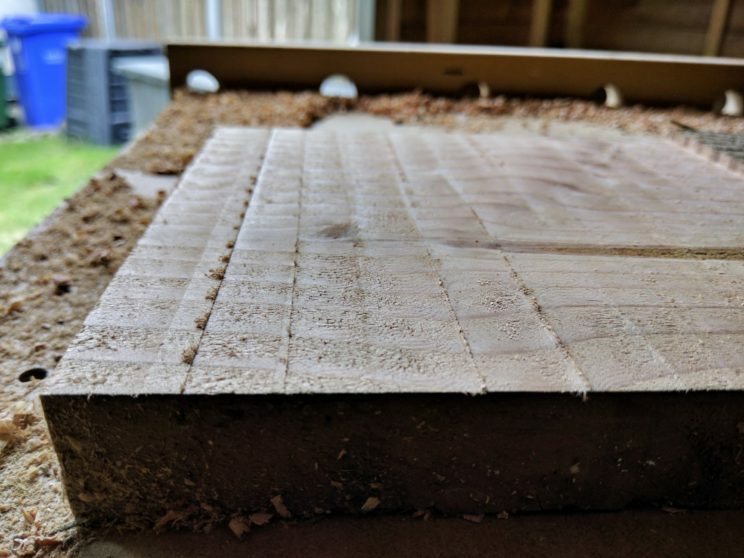 After I finished sanding it (1 minute job), I had to try it out! 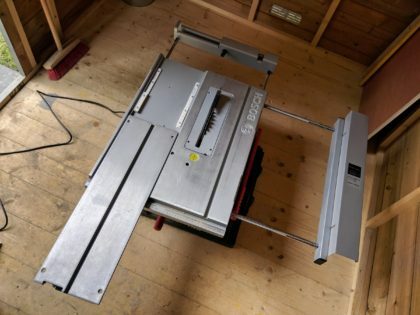 And there it is – a successor of my thickness sander. 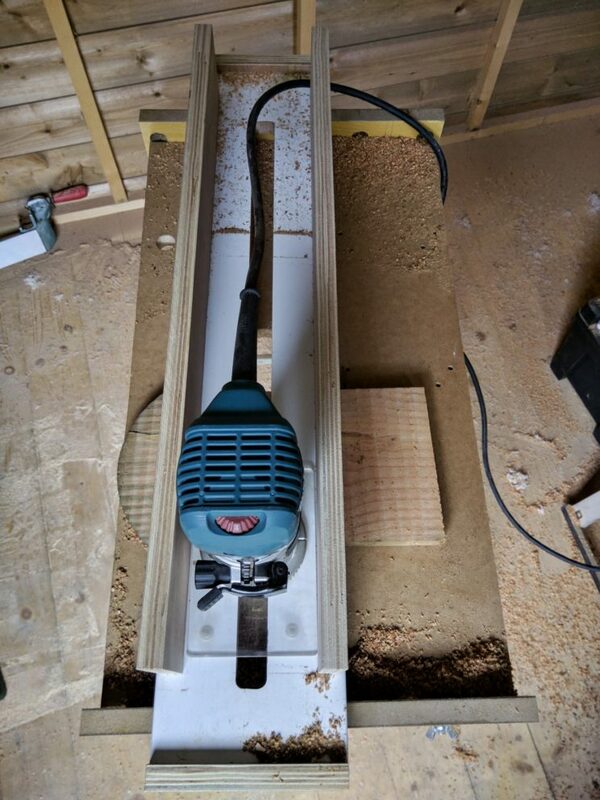 Less dust, improved accuracy and speed. 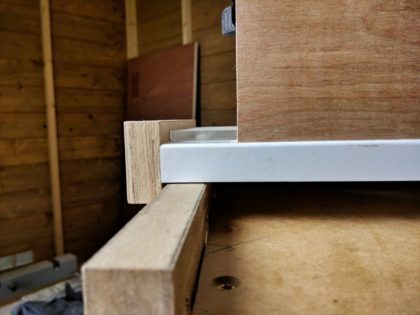 It’s also smaller and easier to store.